At Cordell’s Automotive in Holmen, our auto mechanics understand why you drive an Infiniti. And our auto repair technicians can provide you with anything from tires to regular maintenance to keep that luxury Infiniti in tip-top shape. We know you deserve the best in auto repair service and customer service as well. Having a luxury car like an Infiniti can make you feel like each and every day is special. So you don’t want that luxurious feeling to disappear the instant you step into your auto repair shop. At Cordell’s Automotive, we want you to feel that special when you come into our shop for any kind of service or repair. And we know it isn’t easy to find excellent service in this day and age. What’s a driver in the Holmen area to do? Why come to Cordell’s Automotive of course! 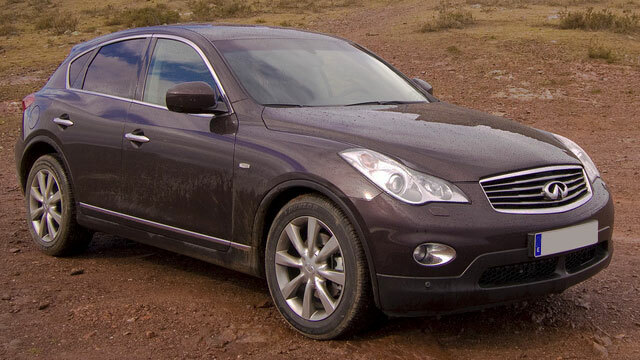 What sets Cordell’s Automotive apart from the other places you might take your Infiniti? Many things do! Our customer service is outstanding, and we embrace honesty. We treat you right whether you want to enjoy a cup of coffee in our waiting room straight from our Keurig machine or have a loaner car for your convenience. We have a 3-year/36,000-mile warranty so you don’t have to worry if you travel in your Infiniti outside the Holmen area. We’d love to work on your Infiniti. Schedule an appointment today. Cordell’s Automotive is located at 300 South Holmen Drive, Holmen, WI, 54636. Our hours are 7:00 AM - 5:30 PM, Monday - Friday. We also service the communities of La Crosse, Onalaska, and Trempealeau.